There’s nothing like an enjoyable evening of food and music. 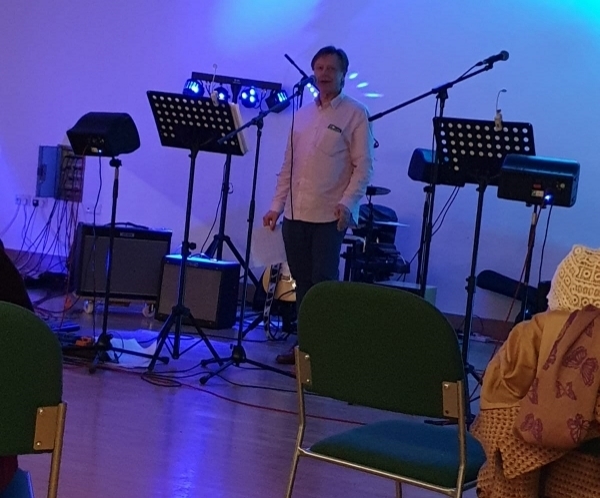 And that’s exactly what happened at the Oak Tree Centre on 30th March 2019. 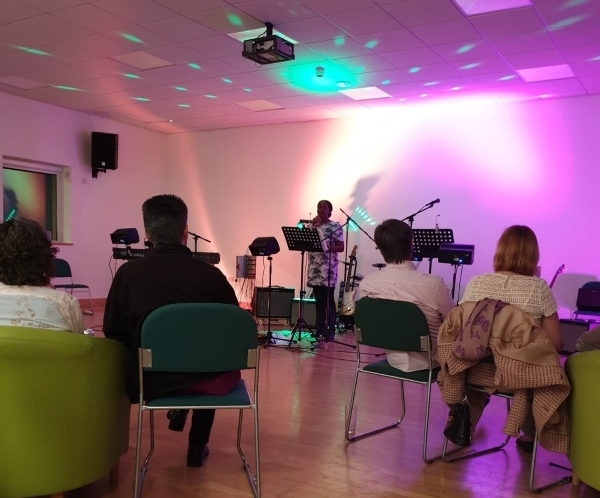 People gathered to enjoy an evening of good food and a variety of music, including some people’s own compositions that they’d written, contemporary music and worship music. Different musicians took part and demonstrated their skills to a grateful audience. These “Music Nites” take place on the last Saturday of the month and the proceeds raised from the evening go towards the building fund for Phase 2 of the Oak Tree Centre. 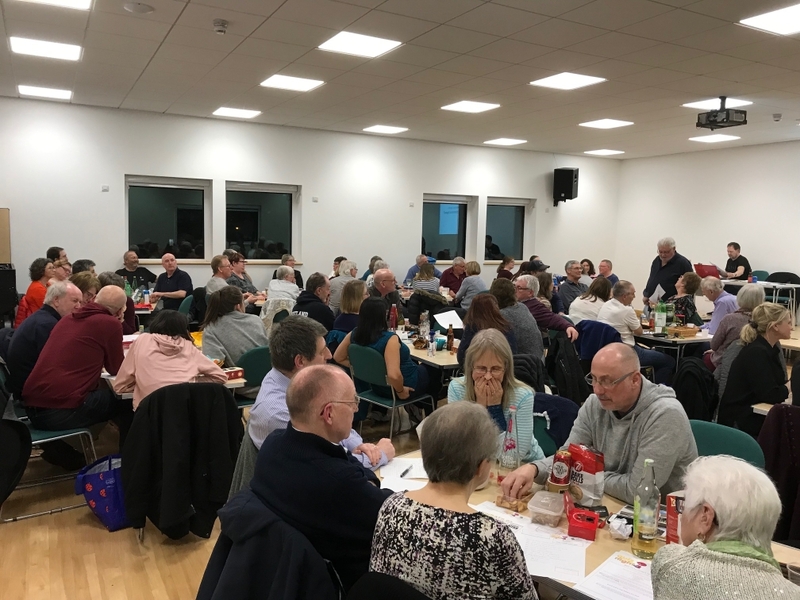 Friday 15th February saw a collection of minds gather to battle it out to win the Quiz Night at the Oak Tree Centre. 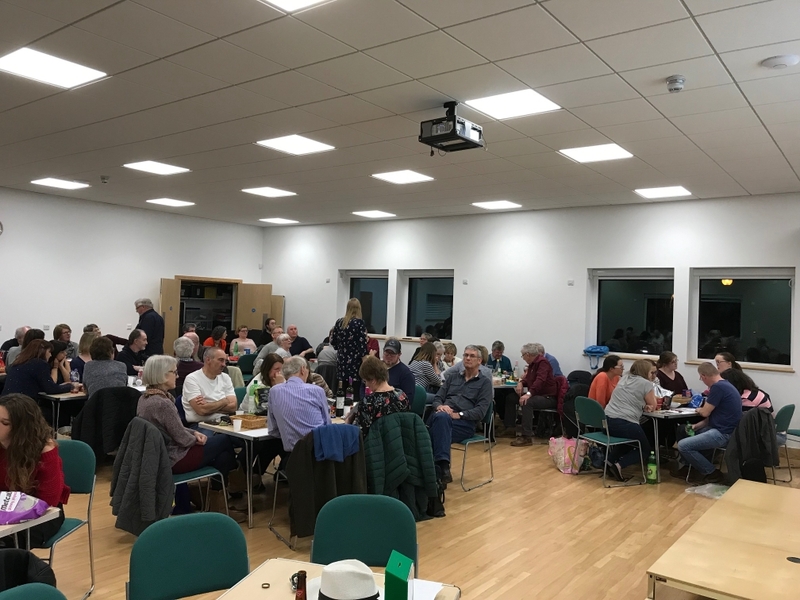 This popular fundraising event saw 80 people attend and enjoy the usual and unusual rounds of questions, including the traditional “roll a coin” game, with prizes donated by attenders of Shenley Christian Fellowship. It was a fun-filled evening, full of banter, good food and a short presentation on phase 2 of the Oak Tree Centre. A total of £513.56 was raised. Thank you to all who supported the event. Below is a 3 minute virtual walkthrough of the Oak Tree Centre, created by Baart, Harries & Newall Architects in 2014. 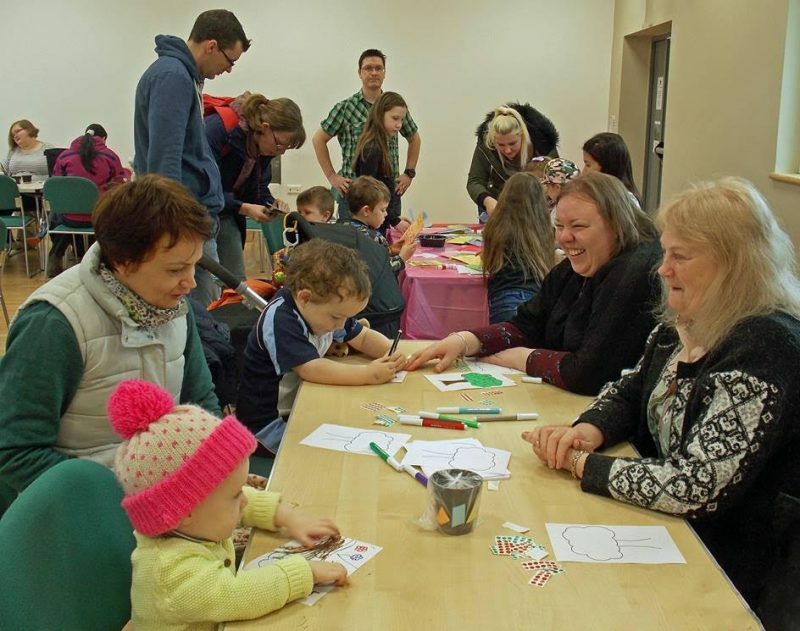 Phase 1 of the Oak Tree Centre opened in September 2016 and hosts the many activities organised by Shenley Christian Fellowship, such as our popular weekly Parent and Toddler groups – Acorns and Little Acorns, and our weekly Friendly Faces Drop In. The Oak Tree Centre also hosts all of our Community events, like our Victorian Christmas Fayre and Easter Eggstravaganza. 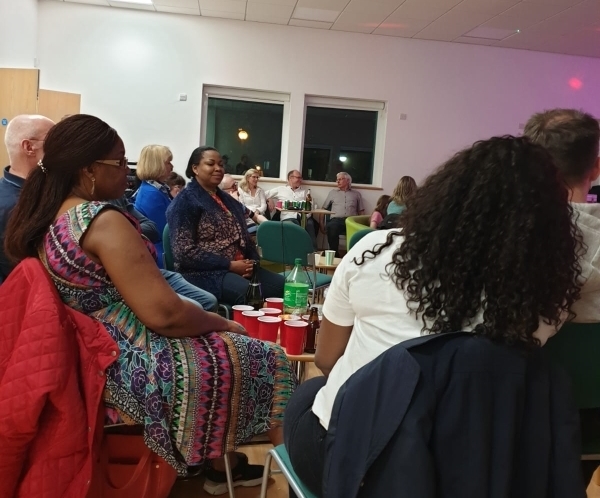 Our rooms and main hall are frequently booked by regular groups/external providers, like Slimming World, Grid City Fitness and Socatots, as well as being booked for parties, business meetings and various private functions. 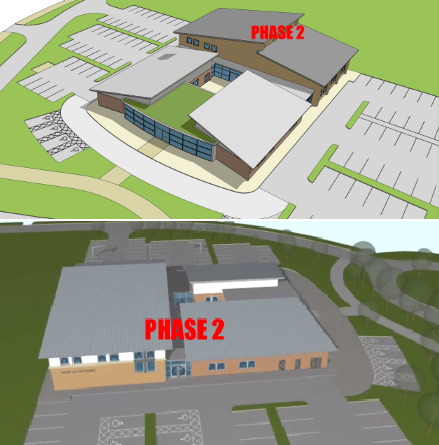 Phase 2 has already received planning permission and work is intended to start on site no later than 2021. Phase 2 will incorporate a major sports hall, which will double up as a 400-seater auditorium and also intends to have a youth centre area. It will provide the opportunity for local people to come and play badminton, to rent the facility for larger events and to be hired by other organisations who wish to host their own gatherings. It will be the ideal venue for concerts, drama productions and celebrations. 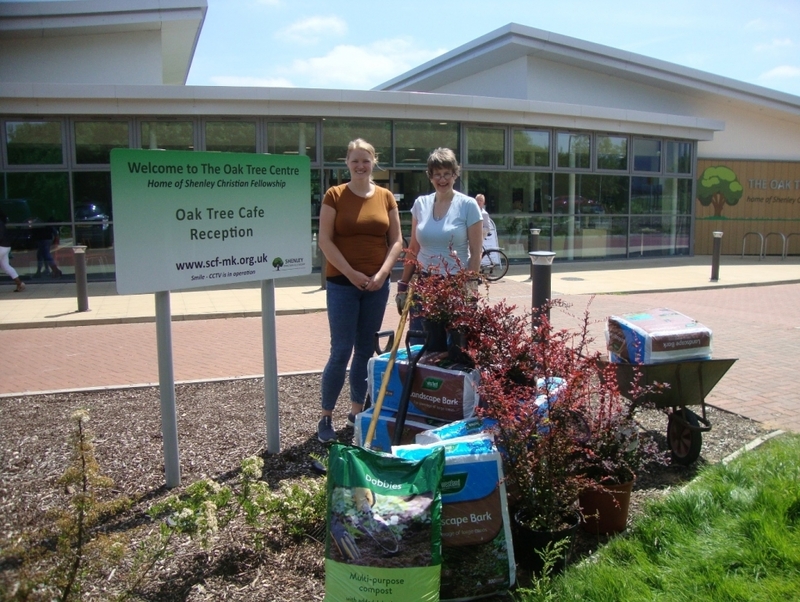 Dobbies MK, through their ‘Helping Your Community Grow’ initiative, have once again donated plants to the Oak Tree Centre. Dobbies, who offer products, equipment, support and help to revamp any outdoor space, gave £400 worth of plants to make the area around the Centre a wonderful space to spend time. They work closely with community groups to ensure that what is provided meets the needs of recipients. The donations were gratefully received and promptly planted around the Oak Tree Centre. Members of the Hammett family ready to get stuck in with embedding some of the plants generously donated by Dobbies MK. 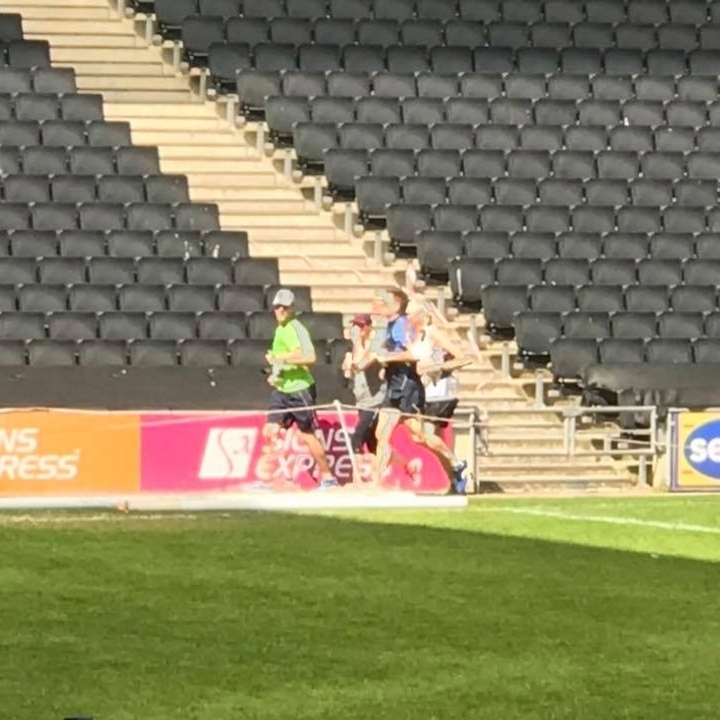 On Bank Holiday Monday 7th May , 4 SCF “Superstars” were among over 5000 others who ran the 26.2 mile MK Marathon on one of the hottest Bank Holiday weekends on record, with temperatures reaching 27º Celcius. 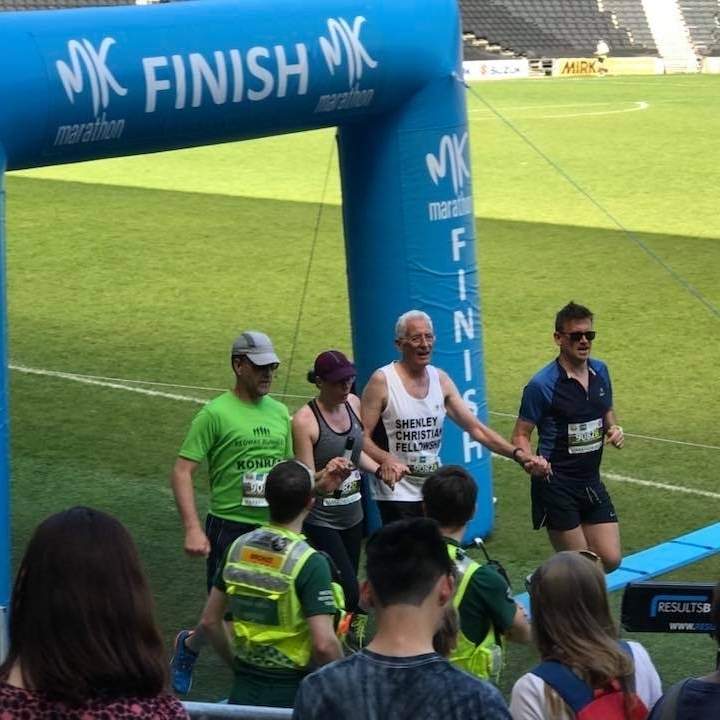 A huge THANK YOU to Richard Clark, Harvey Moore and Konrad and Chrisann Meij, who finished in a spectacular time of 4hrs 28mins 30secs and raised over £1000 for Phase 2 of the Building Fund. 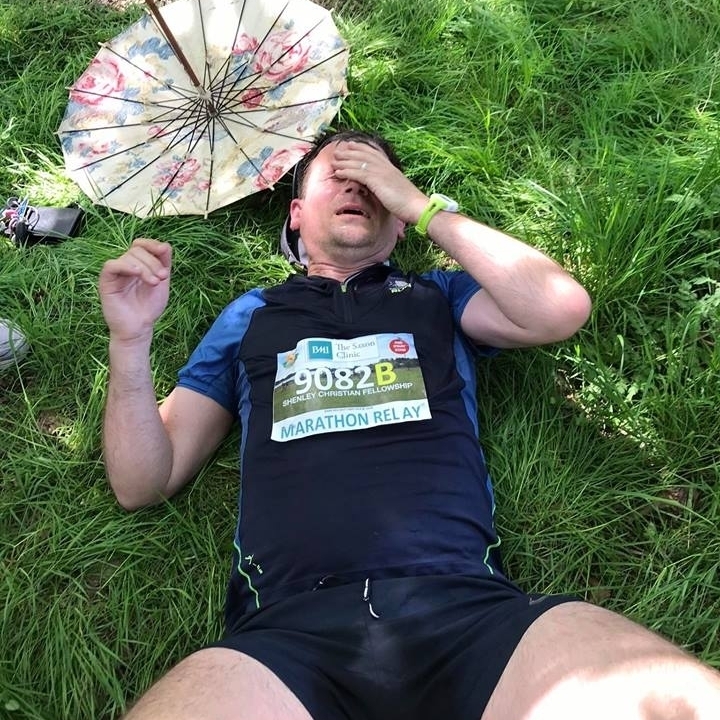 A truly awesome, amazing achievement! Well done! 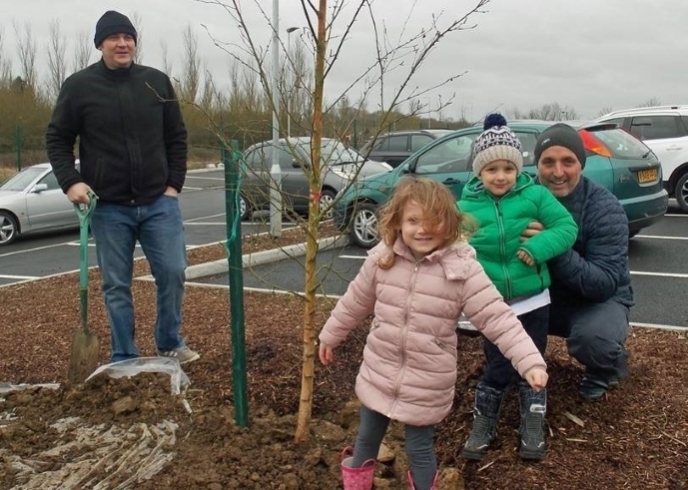 On Saturday 25th February 2017 the newly built Oak Tree Centre had an additional 33 trees added to their grounds to complete the landscaping of the first phase of this £3million community church development. The community were all invited to help come and plant a tree and all children were given free sunflower plants to take away and grow at home. There were a wide range of activities on offer for children, in addition to helping their parents plant the new trees and the morning included great new facilities for children and café users to try out in the courtyard. The Oak Tree Centre café was open to offer hot lunches, coffees, teas, snacks and great cakes! 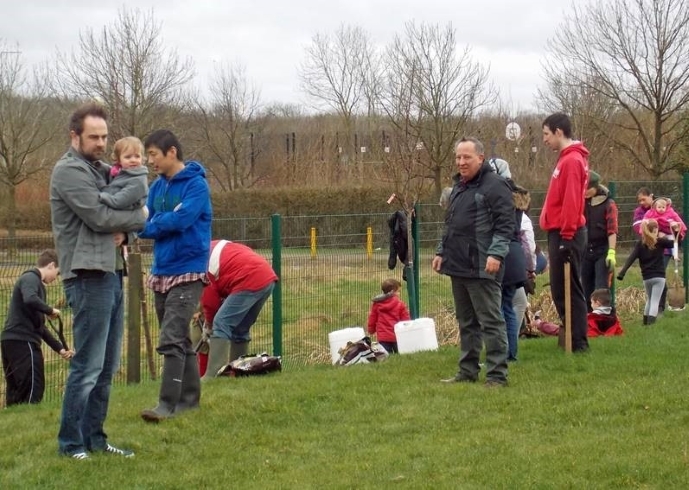 Having secured a grant of £5,400 from the DHL UK Foundation, a team of volunteers both from DHL and the church prepared the ground the day before for the planting of the trees. A team also assembled the outdoor furniture for the newly developed courtyard as well as new planters. This has created a really attractive new community space that is ideally located adjacent to Shenley Brook End School. 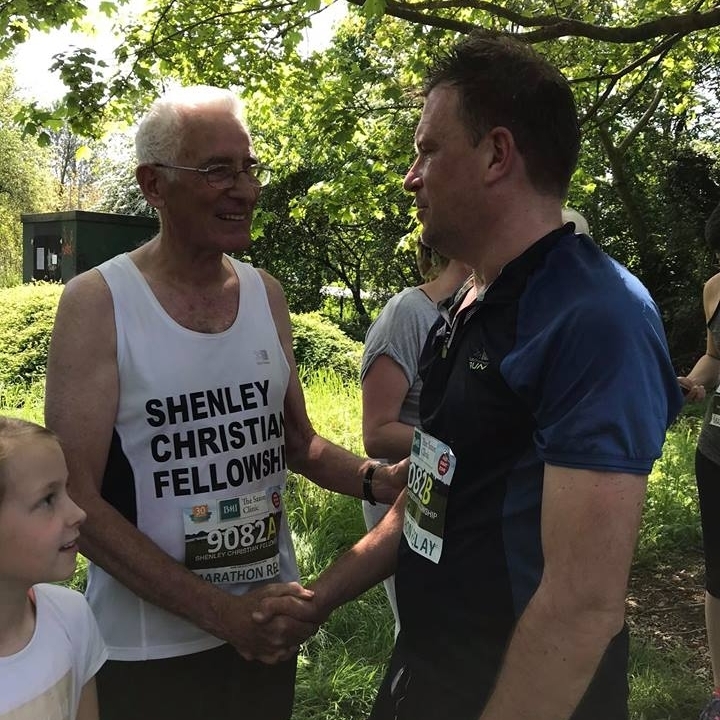 Shenley Christian Fellowship own and manage The Oak Tree Centre, and run a wide range of programmes for the community at the prestigious venue. 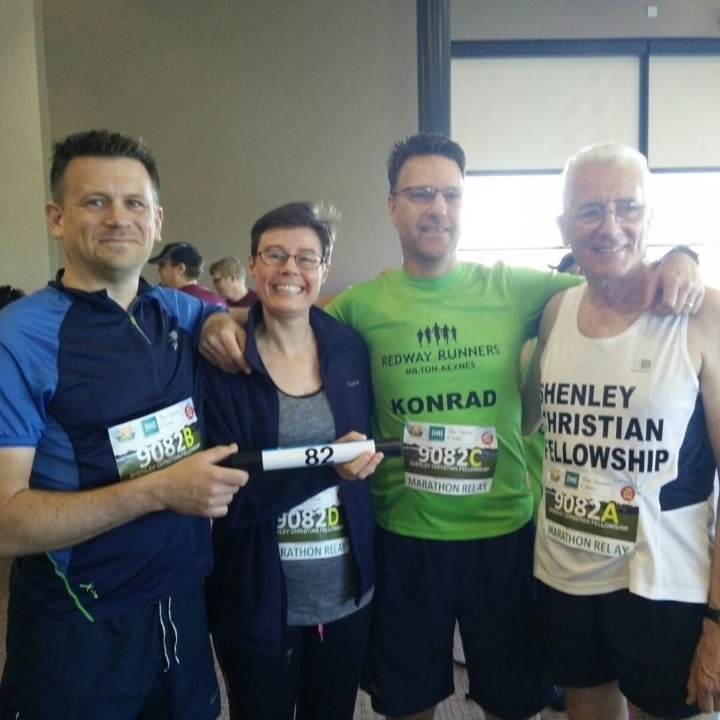 The Fellowship also use the facility for church meetings on a Sunday morning and evening. 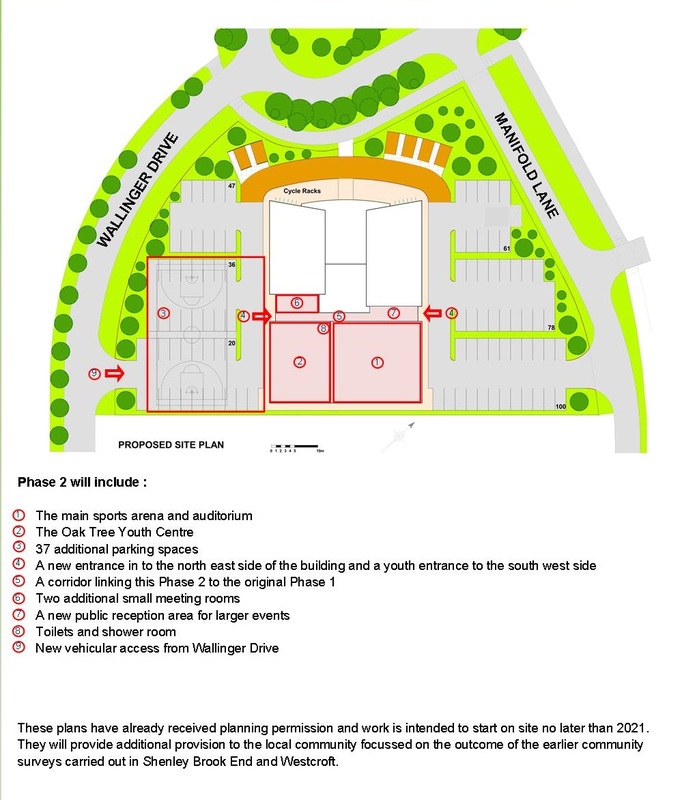 Phase 2 has already received planning permission for a major sports hall, which will double up as a 400 seater auditorium. It also intends to have a youth centre area on the south western side nearest Shenley Brook End school. 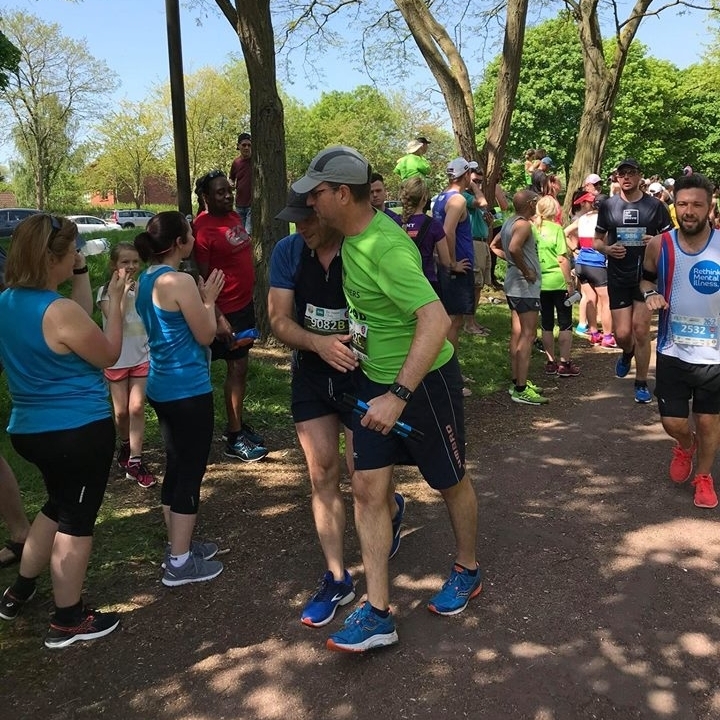 This element is as a direct result of the outcomes of community door-to-door surveys carried out in the past within the districts of Westcroft and Shenley Brook End. The need for youth facilities, particularly out of school hours was seen as one of the top requirements of any new community focussed building. This will complement the work already undertaken by our youth staff members and volunteers. 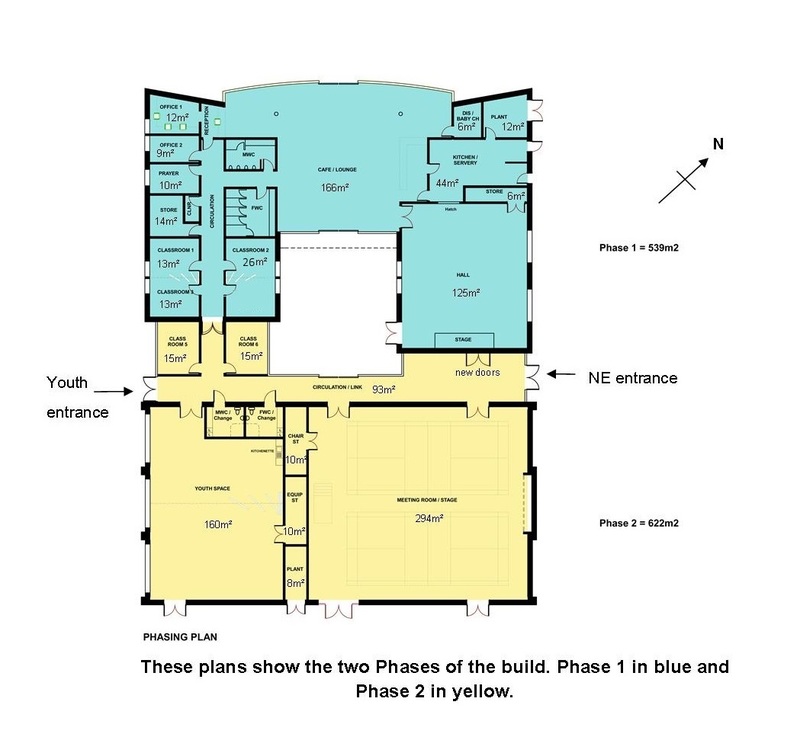 Phase 2 will also have showers, toilet facilities, some storage for chairs and staging, two additional small meeting rooms and connecting corridors that will enclose the central courtyard feature. 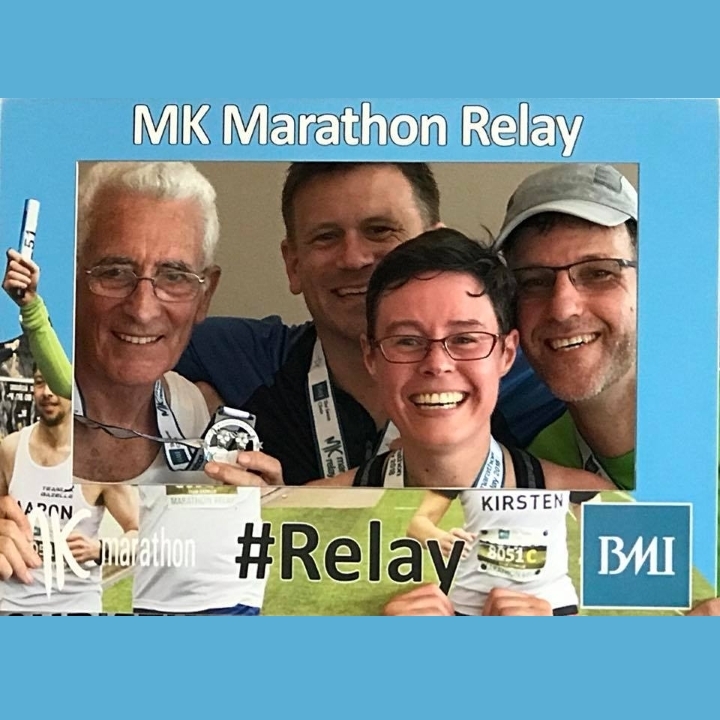 It will provide the opportunity for local people to come and play badminton, to rent the facility for larger events and be a facility to other organisations who wish to host their own gatherings. It will be ideal for concerts, drama productions and celebrations. 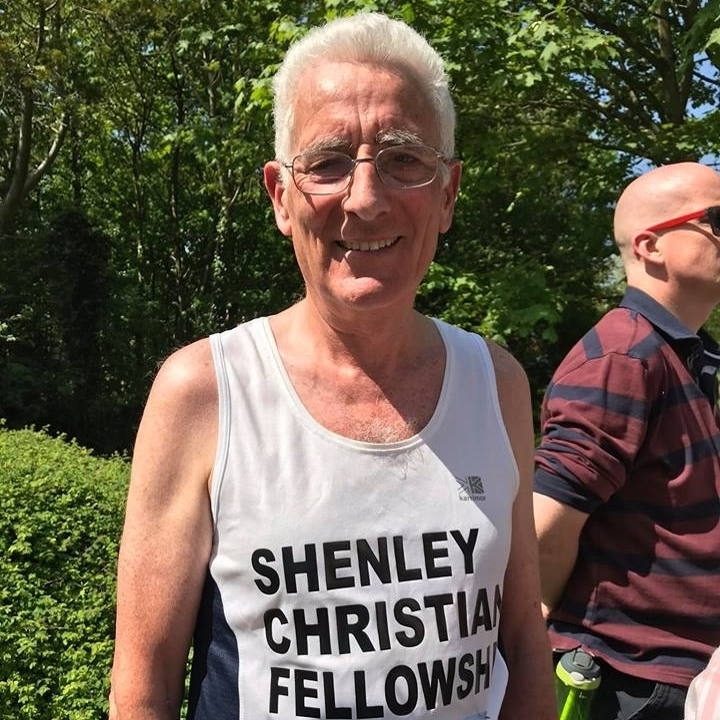 It will also be used by the fellowship for their Sunday meetings, as our numbers grow. At the same time, an extra 37 car parking spaces will be provided and a new entrance put in along Wallinger Drive to provide alternative access.